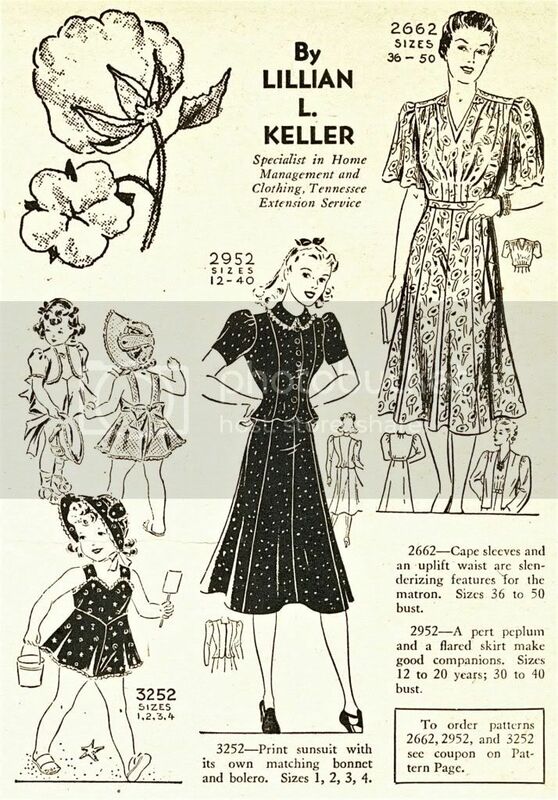 Here are some of the patterns you could order from The Progressive Farmer and Southern Ruralist in 1940. They range from baby clothes, to practical maternity dresses and even a truly lovely 'graduation frock'. There is an emphasis on cotton because this was basically a farmers magazine and cotton crops were very important, there are several mentions of the need for everyone to have a cotton mattress. There is speculation that most of the mail order patterns all came from one company, but I don't think we really know. If you have more information please share. Also if anybody knows more about Lillian L. Keller who worked for the Tennessee Extension Service, she seems to have been a clever gal indeed! Oh I wish one could still order them! 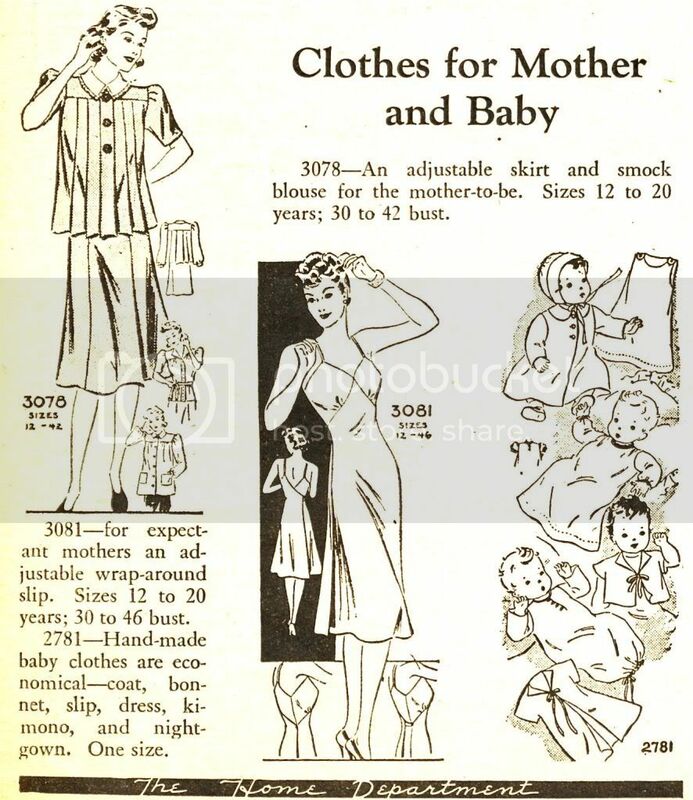 It's always the toddler patterns that get to me...and "Hand-made baby clothes are economical". Love it.